Remnant is set in the not-so-distant future in the American Midwest after an agricultural collapse. My first degree is in botany and environmental conservation–I’ve been thinking about our relationship with plants and the land for a very long time, and this book is the result. First, I’d like to thank the elders, those who have thought about and written on topics that have helped me in the making of Remnant. Many books have spent time on my nightstand, propped on my lap and leaned against a coffee shop window in preparation for this novel. The Gift of Good Land by Wendell Berry and Small is Beautiful by EF Schumacher were seminal books I read during my undergrad years at University of New Hampshire. They got me started thinking about size, about how much (land, money, power) is enough. More recently, when I was working at a small university in central Illinois, I listened to the audio version of Michael Pollan’s Botany of Desire during my long commute to work and home again. He got me thinking about whether or not we have domesticated plants or they have domesticated us, and how we might move forward in the future if we are to survive any major changes in the environment. Then I read a wave of books to help me think about deep time, to imagine the future after an agricultural collapse, including The World Without Us by Alan Weisman, The World Until Yesterday by Jared Diamond, Scatter, Adapt, and Remember by Annalee Newitz, and The Sixth Extinction by Elizabeth Kolbert. 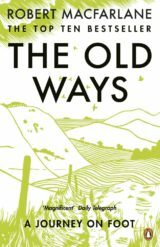 Just before I moved to England, I read Robert Macfarlane’s The Old Ways, a lyrical book about walking the land, which my characters do to save their lives and find a new way, a new place to survive. As I often tell my students, when someone tells you to ‘write what you know’, do as Henry James suggests in ‘The Art of Fiction’: expand what you know by reading, by observing the world, by trying to ‘be one of the people on whom nothing is lost’. 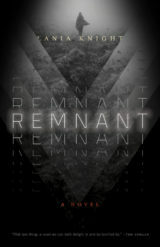 For many years, I have been reading and thinking and observing, and Remnant is the result. More news of Remnant soon, dear Readers. 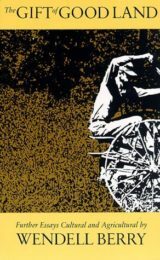 In the meantime, please enjoy this song ‘Follow the Sun’ by Xavier Rudd, one my characters would like very much, I think.